If you don’t already receive our emails, we hope you’ll consider signing on. 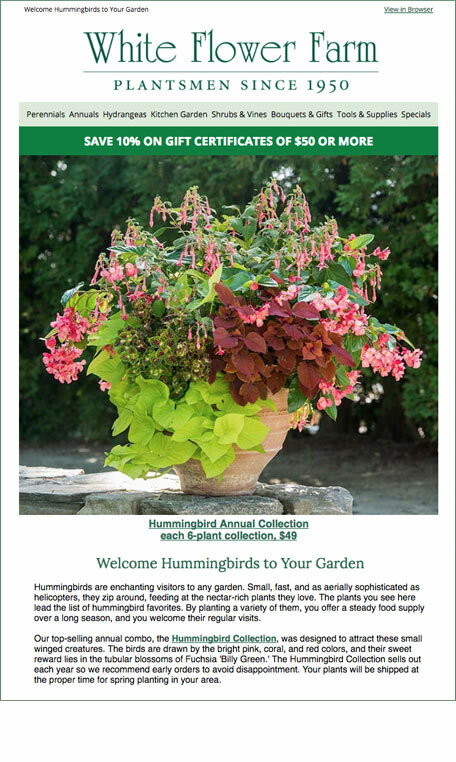 While these communications are designed to interest you in the wide array of annuals, perennials, shrubs, vines, gifts, and gardening supplies we have to offer, they also function as an expression of our commitment to providing you with the advice and information you need to become a better and more successful gardener. Choose how often you’d like to hear from us, and rest assured, we never share email addresses. We’re delighted to welcome you.